This anthology of thirteen essays by Nayanjot Lahiri combines twenty years of scholarship on various topics related to the historiography of ancient India. Using her training as an archaeologist, and an extensive experience with archival material, Lahiri brings a wide and disparate set of materials into an accessible and compelling assemblage that is supported by rigorous research. The book is organised into three parts. The first part, Ancient Heritage and Modern Histories, comprises five essays and delves into the modern histories of archaeological and architectural relics, and the role of political events and power on the conservation and destruction of monuments and antiquities in India. The second part, Artefacts and Landscapes, has four essays that use archaeological data to explore diverse areas and time frames. 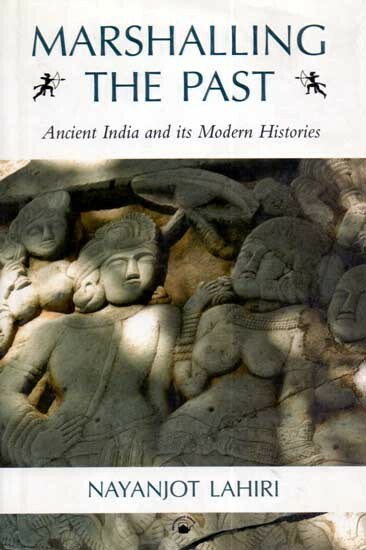 Three of these essays are concerned with aspects of the Harappan period, including trade, metallurgy and demographic estimates, while the fourth engages with the sacred geography of Ballabgarh, near Haryana, and how religious relics and local customs intertwine in highly specific contexts. The third part, An Archaeologist and a Historian, explores facets of two iconic scholars of ancient India, the archaeologist John Marshall and the historian D.D. Kosambi. Lahiri writes in the Introduction "Speaking of the Indus cities, ever since I can remember there has been this idea that India lost its Indus heritage in 1947 because practically all the Indus sites fell within the national boundaries of Pakistan. THis notion of cataclysmic loss seems to have been drilled into the minds of every student of ancient Indian history, giving credence to the view that nationalism influences understandings of the past. Then, one day, while admiring the Indus collection of the [National] Museum [in New Delhi], a question suddenly popped into my head. How had India, in spite of that loss, managed to retain such a large collection from those cartographically sundered cities? It was in search of an answer to that question that I started sifting through the 1940s files of the [Archaeological] Survey [of India].